This fund empowers more UMBC students to have a broader choice in how they connect with the community to address critical challenges through life-changing service experiences. For the first time, we will provide financial support to students using their own vehicles to transport other UMBC students each week to their respective service sites. In addition, through their community engagement, they are building networks of support with people interested in addressing similar social justice issues. When students don't have the resources to get to service sites, they may not participate in service-learning at at all. Our non-profit, K-12, and public agency partners report that UMBC students increase their capacity to meet their respective missions and serve as positive role models to youth to “Be Their Best Self.” Because students are UMBC’s greatest resource, we seek to broaden our reach to those for whom transportation is a barrier to sharing in the mutually beneficial relationships service experiences provide.Over the last few years, the Service-Learning Team has facilitated approximately 1,000 placements each year, with the majority of them off-campus. Sites include Reading Partners (serving elementary-aged students in a number of Baltimore City schools), B’More Clubhouse, Audobon Center at Patterson Park, Paul’s Place, BARCS (Baltimore Animal Rescue & Care Shelter, Inc.), Saint Agnes Hospital, and the Baltimore Community ToolBank. There are a growing number of UMBC Student Organizations that seek to uplift the community (EX: AIM (Achievement and Inspiration through Mentorship) at Commodore John Rodgers Elementary/Middle School. Most of these sites are not easily accessible via UMBC’s Transit and/or the MTA. Data has shown that that applied learning experiences, particularly service-learning, increases student’s performance (GPA) and persistence to graduation. 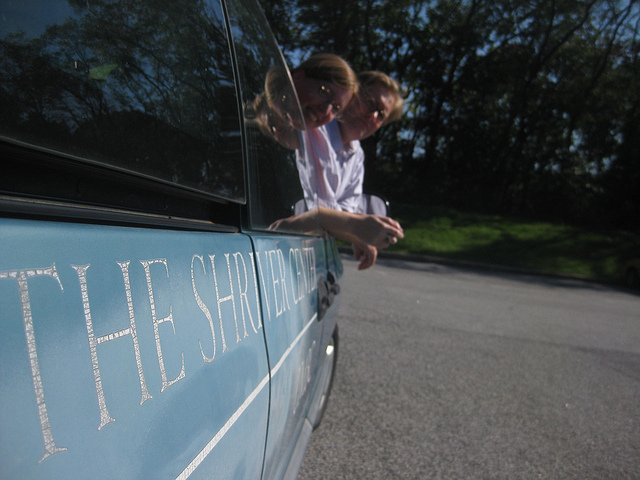 This crowdfunding campaign allows alumni, partners, and friends of The Shriver Center to stay connected. Even a small gift will make a big difference. We hope you will share this opportunity with your networks as well! Each donor receives a unique link to track your impact-- just look for it in your gift receipt.